Peter Joseph is an American-born social critic and activist who has lectured around the world on the subject of cultural sustainability. Once deemed The Herald of Occupy Wall Stree for his tacit prediction of inevitable global uprisings against inequality and economic injustice, his extensive media work has been translated into over 130 languages and experienced by 250 million people. Working in concert with numerous NPOs and grassroots organizations, Joseph’s core focus is on socioeconomic structures that undermine progress in the areas of ecological and social justice. He has been featured and profiled in numerous media outlets, including the New York Times, The Huffington Post, Free-Speech TV, and TED, and has given over a thousand hours of interviews via radio shows and podcasts in the past decade. Society is broken. We can design our way to a better one. In our increasingly interconnected world, self-interest and social-interest are rapidly becoming indistinguishable. If the oceans die, if society fractures, or if global warming spirals out of control, personal success becomes meaningless. But our broken system incentivizes behavior that only makes these problems worse. If true human rights progress is to be achieved today, it is time we dig deeper—rethinking the very foundation of our social system. 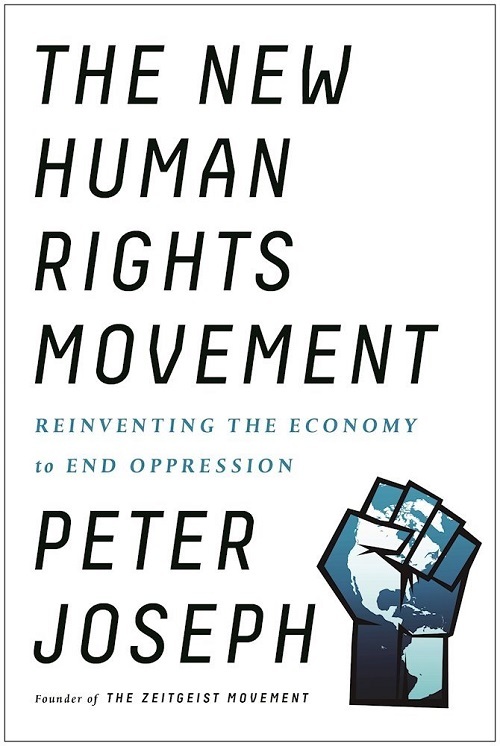 In this engaging, important work, Peter Joseph, founder of the largest grassroots social movement in the world—The Zeitgeist Movement—draws from economics, history, philosophy and modern public health research, to present a bold case for rethinking activism in the 21st century. The conventional wisdom views poverty, social oppression and the growing loss of public health as an unfortunate and immutable side effect of our way of life. The New Human Rights Movement argues that these outcomes are, in fact, contrived—only natural to our outdated economic system. Social activists can never succeed in dramatically improving human life on this planet until they understand the structural reasons these problems exist. Arguing against the long-standing narrative of universal scarcity and other pervasive, legitimizing myths that defend the current state of affairs, The New Human Rights Movement ultimately presents the case for an updated economic approach. Joseph explores the potential of this grand social shift and how we can design our way to a post-scarcity world—a world where poverty doesn’t exist and the human family has become truly sustainable. The New Human Rights Movement reveals the critical importance of a unified activism in this direction, through understanding and working to alter the inherent injustice of our current social system. It not only warns against what is in store if we continue to ignore our broken society, but also reveals the positive future possible if we succeed.